If you love to fish and have not yet checked out fishing along the Sapphire Coast in NSW, now is the time to do so. You can find a bountiful array of fish – fish that you may often dream of catching. Set your sights on capturing fish such as yellowfin tuna, bluefin tuna, kingfish, snapper, and marlin. 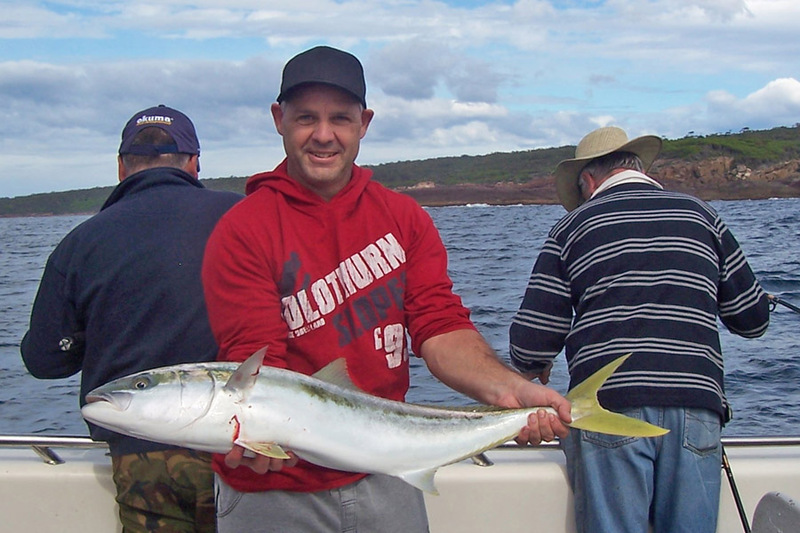 To ensure fishing success, book a fishing charter in Merimbula. Whether you like to game fish, reef fish, or are a beginner, fishing along the Sapphire Coast is a positive experience. Local reefs provide bounties of fish all throughout the year. You simply cannot bypass this type of fishing adventure. A popular charter company can help you embark on your journey by offering a large catamaran so you can move around and cast your line. Both rods and reels are included in the price. All you need to do is come equipped with an enthusiastic attitude. You don’t even need to acquire a fishing licence. Once you catch some fish, the charter providers will clean the catch for you and bag it so you can take it home and prepare it for lunch or dinner. Want to Go on a Reef Fishing Expedition? If you want to go out from December to May, you can choose to take a four-hour morning reef fishing excursion. This charter is much less expensive for the non-fisher. If you just want to experience the activity and have never fished before, this type of charter offers a good introduction. Different prices are charged for adults, children, and families. To obtain family pricing, you need to book a charter that includes two adults and two children. How About Big Game Fishing? Maybe you would like to charter a boat privately. You can book at the marina or call the charter company, whichever is easier. Private fishing tours can be booked for four- or eight-hour sessions. If you want to snag a really big fish, book a private game fishing tour at the marina, or phone the charter company about your plans. Once you fish in this part of Australia, you will be truly spoiled. It is hard to compare this spot with other waters, as people always come home with fish. Even people who do not fish come to love the sport when they fish in the waters along the Sapphire Coast. If you want to fish and be immersed in nature, this is the place to do so. The coastal wilderness features adventure paths, quaint villages, and friendly pubs and restaurants. When you are not fishing in the waters, visit the coast and explore the scenery. Take a hiatus to see the Blue Pool or discover Mumbulla Falls. Whether it rains or the sun is shining, you will enjoy your time. If you want to commune with nature and fish, you only need to travel to the Sapphire Coast. People who visit this site state that they experience fishing at its best. In fact, some charter customers have said that the fishing here is even better than it is off the coast of places such as Mexico. If you don’t fish much now, you will fish a good deal after chartering a fishing boat in this area. Planning A Lazy Weekend In Ouray? Here’s All You Can Do! © 2019 - P Bus Tour. All Rights Reserved.